Cuba is a thoroughly unique and outrageously photogenic destination, with its palm-studded tropical beaches, rows of faded colonial buildings painted in muted candy colours and streets filled with hand painted Socialist murals, ice cream parlours and classic American cars from the 1950s. 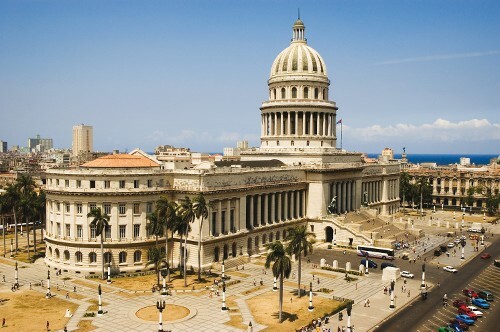 Explore history, arts and culture in Havana, Cuba's photogenic capital. Grab your camera and wander the striking streets, soaking up the faded beauty of Havana's diverse architecture, or put on your glad rags and experience Cuba's spectacular live music and dance scene - the Rumba, the Salsa, the Cha-Cha and world-renowned Afro-Cuban jazz. Enjoy the cobblestoned streets, quiet plazas and colonial charm of Trinidad, head to Santa Clara for revolutionary history at the famous Ernesto "Che" Guevara Monument and soak up the soul of Santiago De Cuba, one of Cuba's cultural capitals. Discover the extraordinary scenery of the lush Vinales Valley, with its picturesque villages, oxen-ploughed fields, underground rivers and dramatic rocky outcrops. 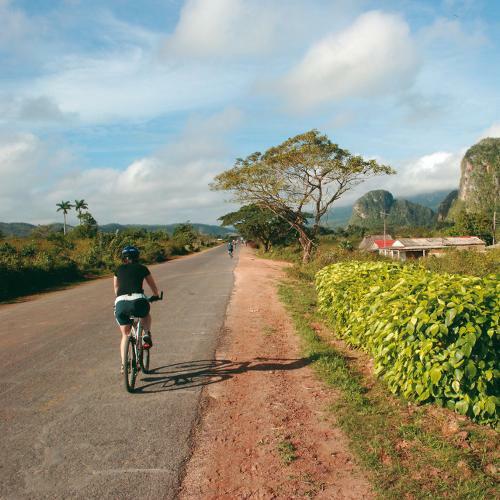 Surf, dive or sunbathe on white sand beaches, join a cycle journey to explore the lesser-known regions of Cuba at handlebar level, or hike through the spectacular Topes de Collantes, with its exuberant flora, grottoes and waterfalls. With its atmospheric cities, unspoiled nature, rich history and one of the world's great music and dance cultures, Cuba really has it all! Take a look at our unique program of adventures to this island gem of the Caribbean. 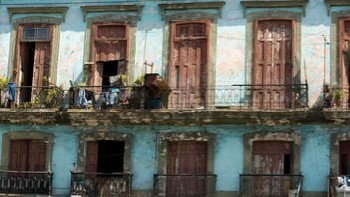 Discover the faded beauty of Havana's diverse architecture. Discover a landscape of quaint villages, oxen-ploughed fields, underground rivers, stalagmites and stalactites by foot or bike. 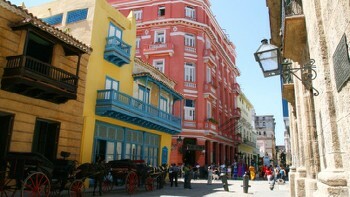 Marvel at the colonial atmosphere with its uneven cobbled streets, quiet plazas and churches. Discover the crystal waters of the Caribbean. 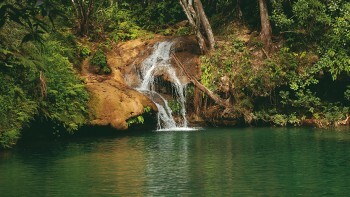 Hike Topes de Collantes with its exuberant flora, waterfalls, grottos and cool off in crystal clear natural pools. From the Rumba and Salsa to the Cha-Cha and Afro-Cuban, experience Cuba's infectious live music and dance scene in Havana. Our trips offer exceptional value for money featuring good quality, centrally located hotels and casa particulares, where you will have a truly authentic experience as you stay with a local family. We aim to incorporate as many inclusions as possible in the tour cost such as most meals, private transportation, entrance and permit fees and excursions. Cuba is a Caribbean gem that is suited to exploring under your own steam. 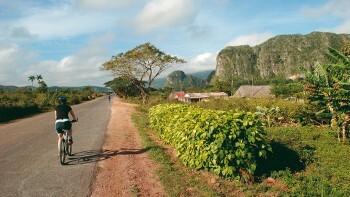 Whether you are travelling through lush valleys at handlebar level or climbing Cuba's highest peak, our adventures offer a realistic perspective of the unique culture that Cuba is renowned for. Our local guides are the real key to our success. 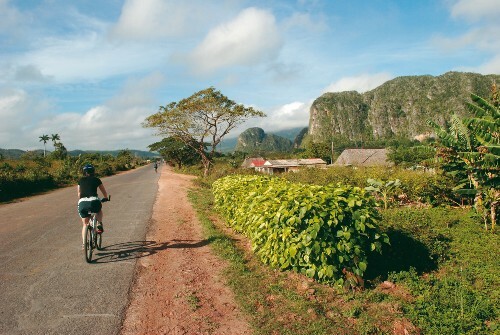 From leading you along Cuba's best cycling trails to winding through Havana's exciting streets, our guides are passionate about sharing the wonders of their country and culture to make your experience special. With our team of local experts, we can customise your Cuba experience to create the perfect holiday whether you wish to spend more time exploring the history, arts and culture in Havana or simply relaxing on Cuba's white sand beaches. We operate our itineraries following the principles of Leave No Trace, ensuring that we take out all waste that we bring in and more where possible. In cities or large towns you will be accommodated in 3 to 4 star properties that are centrally located, atmospheric and reliable. We use quality inns that have been handpicked for their charm. They are not luxury inns however we ensure they offer you a truly authentic experience. Our lodges provide comfortable accommodation that is well maintained and with good facilities. With more than 1,000 awe-inspiring UNESCO World Heritage sites on this list, we’ve narrowed down our favourites to see by bike. The Olympics, key anniversaries and political changes are just some of the reasons behind our choices for top trips and destinations for 2016. Cuba lies within the tropics and its climate is generally hot and moist. 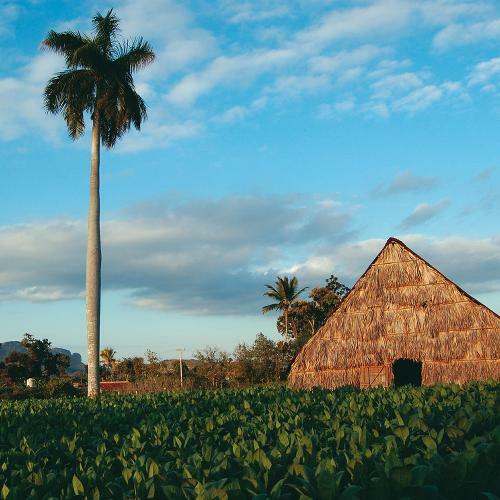 Cuba’s climate is moderated by trade winds, which give the country two distinct seasons: a dry season from December to April, and a wet season from May to November. Rains tend to fall during the wet season, although are not confined to these months. The average annual temperature is around 25-26°C (77-79°F), with little variation between the coolest month (January) and warmest month (August). Temperatures often rise to 32°C (89.6°F) in summer, and higher in the eastern part of the country. Midwinter temperatures can dip to around 10°C (50°F), but rarely go below this. In Havana, average daily temperatures vary from a minimum of 18.6°C (65.5°F) to a maximum of 25.8°C (78.4°F) in January; to a minimum of 24.1°C (75.4°F) to a maximum of 31.6°C (88.9°F) in August. Spanish is Cuba’s primary language. 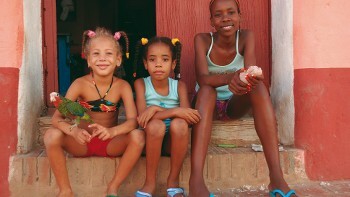 Although the country has no specific Spanish dialects, Cuban Spanish is known to have something of a unique rhythm and intonation owing to the influence of Cuba’s Afro-Caribbean populations. Haitian Creole is spoken by a significant number of people. People who work in the tourism industry generally speak English, but usually only very basic English is spoken by others. Cuban followers of the Santería religion also speak a special language called Lucumí, a dialect of the West African Yoruba language. Cuban Convertible Peso (aka ‘dollar’) and the Cuban Peso (aka ‘national peso’). Most purchases are quoted in convertible pesos (CUC$) and nearly everything travellers buy will be in this currency. We recommend that you take Pounds Sterling or Euros to exchange into Convertible Pesos in Cuba. US Dollars may be exchanged for Convertible Pesos, but a service charge of 10 per cent will be levied. Euros may be accepted directly in some areas without the need to change into Convertible Pesos. Money can be changed at your hotel, in exchange bureaux, and at banks. Banking hours tend to be Monday – Friday from 9.00 – 3.00pm. Most hotels, travel suppliers, and larger restaurants will accept credit card payments (but not credit cards drawn from US banks). All credit card payments will incur a charge. Please check what the charge will be before making your purchase. Usually 3-9% is added to the bill. ATM machines are few and far between and withdrawals incur approximately 9% charge. 25.00 CUCs is required for departure tax from Cuba. The standard power source in Cuba is 110v, 60hz AC, although a few hotels operate on 220 volts. 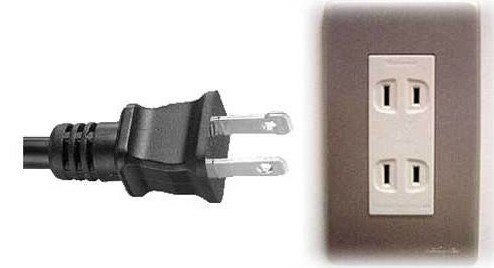 It is generally supplied through the American flat 2 pin plugs ( 110v ) Type A or European round 2 pins ( 220v) Type C. You should buy the appropriate adapters before you leave home, as you may not find them overseas. Powercuts are frequent in Cuba so we recommend you carry a torch with you. 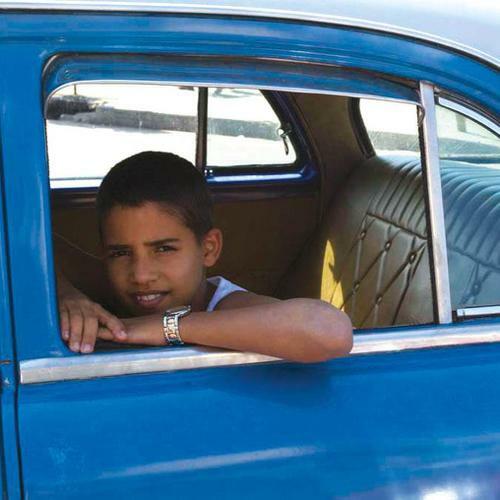 Visas are required for all nationalities visiting Cuba. A tourist card, which is considered a visa for entry for tourism purposes can be obtained from Cuban embassies and consulates. All passengers must hold return air tickets. It is your responsibility to ensure you have all required visas for your trip. Rules and regulations governing the issuance of visas are constantly changing, and vary for different nationalities and you should check visa requirements with your travel agent or relevant consular authority well before travel. Visa regulations change and you should be prepared for this. If you are stopping over or transiting other countries en-route to your destination, you should also check the visa requirements for that destination. It is your responsibility to obtain the necessary visas. All other nationalities should check with your nearest embassy or consulate.